Drama series contains the story of three generations of women: a grandmother, her two daughters and her granddaughter. Takes over the KBS2 Wed. & Thu. 21:55 time slot previously occupied by "Thank You, My Son" and followed by "The Man in the Mask" May 20, 2015. Love Mar 24 2016 8:04 am The drama is so beautiful. Thank you to the writer,director,staff and all the actors. Where can I listen to the amazing masterpieces of the drama? pixy Jun 07 2015 8:49 am At first I was hesitated to watch this drama but it was very fortunate that I gave it a try. I didn't expect anything from it yet it turned out so well. I don't even remember when was the last time I laughed so hard watching a drama until this one. All characters are so strong and have their own interesting part. I really love how Teacher Kang has such a big heart to accept people the way they are despite of their past mistakes. Forgiveness is indeed a healing medicine for both sides. This drama has so many values to offer, especially family values. In brief word, this drama is totally recommended!!! Ashi Jun 04 2015 10:32 pm I REALLY loved the relationships in this drama, especially between the women: Kang Soon-Ok and Jang Mo-Ran, especially. I found it refreshing that this relationship was one of the primary drivers of the drama. 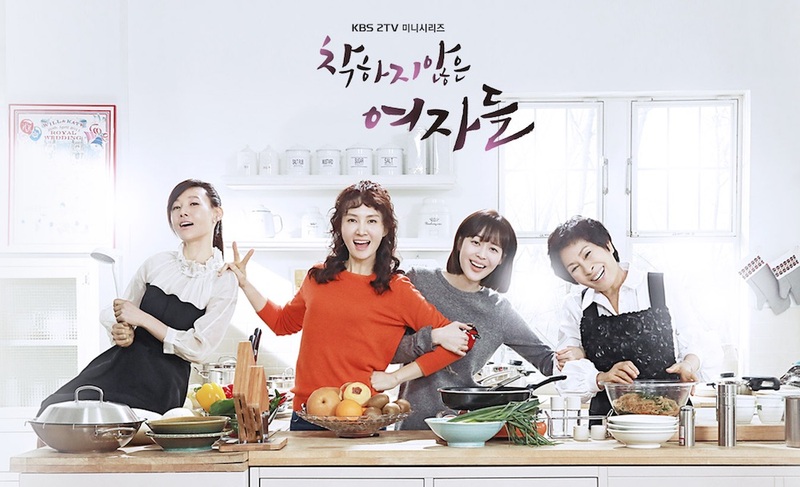 The attention to the support and interactions between the female characters was engaging, heartwarming and, I have to say, unusual in Korean dramas. That said, the lack of resolution between the other main romance between Jung Ma-Ri and Lee Roo-O, was really frustrating and very disappointing. It's like they missed an entire episode. Whoever made the mistake to leave this storyline unfinished made a big mistake and did the viewers a grave injustice. Betty May 27 2015 9:58 am Very good story. Marcia May 19 2015 3:37 am I love this story very much!!!!!!!! non conformist May 15 2015 10:16 pm Barbara... i agree with you. Everybody got the nice conclusion but what about mari and roo oh? Not a single word for wrapping that airplane waving goodbye scene? Or did I miss anything? barbara May 15 2015 11:22 am What happens to the granddaughters boyfried. that part of ending so strange. Anyone else agree with me? Annie May 10 2015 11:09 pm I'm not Korean but I love this show. The humour is universal and so is what to do about love. Chae Shi Ra's acting is a revelation for someone who doesn't know her. She could have easily overacted her part or made it into a caricature but she's a subtle actress who gives her character real depth. I find myself having sympathy for her and cheering her on even though in real life someone like this would irritate me. UNKIND LADIES TEAM May 05 2015 3:10 am I thought this drama was for matured one but i was wrong HAHA. The comedy was way too natural. This drama is really good. ♡♡ Jang Mo Ran and Kang Soon Ok turned friends in the end. ♡ love the whole cast. Lee May 03 2015 8:35 pm Wasn't quite sure what this would be about when I first tuned in, but am glad I did. It's a combination of drama and comedy. At episode 20 right and it's been very enjoyable. A number of hilarious laugh out loud moments throughout. And the main characters are interesting and likeable (at least the protagonists are). abc2z Apr 17 2015 2:38 pm I love everyone and everythings in this drama, the Best Director Yoo Hyun Ki (from My daughter Seo-Young), the Best Writer Kim In Young, the Finest Production teams and all of the Best Actors and Actresses. But I would like to see my Favorite and my Charming Actress Choi Yoon Young (Choi Ho Jung--My Daughter Seo-Young) to be the cameo in this 'Unkind Ladies' drama too, like The very Handsome Actor Lee Sang Yoon ( Kang Ujae--My Daughter Seo-Young),that he was the cameo here. It might be too late for my comment because this drama is nearly to the end. By the way I just would like to share my opinion.Thank You KBS and everyone fightiiiiing!! kurage Apr 17 2015 2:18 am Watched until ep 14 and and love the ending! it's the first time I applaud Na Mal Yeon/Hyun Ae doing that thing to Kim Hyun Sook. Personally I think Kim Hyun Sook should shut her mouth and stop having inferiority complex/victim syndrome. I super hate when a parent decided to disapprove his/her child's love one just because the love one is not a doctor/lecturer etc. as if they are great enough. For me, Kim Hyun Sook and Na Mal Yeon are the only ones I hate in this drama. Oh wait, I hate Kim Chul Hee too because of his infidelity. But then, I really love Mo Ran and Soon Ok characters and their bickering lol. joah Apr 16 2015 6:31 am I love this drama so much! This breaks away from the other stereotypical dramas. Laughed my head off with their refeshing comedy / jokes!! Since I'm from the older generation so I prefer the older couples. Really like Jang Moran here. So different from her role in here comes oh ja ryong. Unkind Ladies, fighting!! farah Apr 06 2015 6:05 pm I need to know the ending before watch this drama. Hope Mari with Roo..!!! miss moon Apr 04 2015 10:16 am how in the world lee do in become the lead when roo is here? Oh god!!! If it happens it doesn't seem to be good, am i right guys? MJ Apr 02 2015 6:04 am Kim Min-Young is playing the younger An Jong Mi. 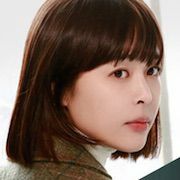 Who is playing the younger Kim Hyun-Sook? Jasmine Apr 02 2015 12:25 am jjoahaeyo!! I have a very good feeling about this drama.. can't forget how panic Mari when she realized her recording mistakes...hahaha! wdang Apr 01 2015 5:02 pm Mari will end up with Roo Oh believe me! miss moon Mar 27 2015 12:45 am I really want mari to end up with roo. If not i swear i won't watch this drama for sure. The plot comes out to be nice in this drama . The drama becomes quite beautifull when roo and lee end up becoming siblings . Unkind ladies FIGHTING!!!! Mari's and roo' s chemistry comes out to be more heart touching. FIGHTING!!!!!! dlg5 Mar 26 2015 5:29 pm If you watch the most recent episode of Infinity Challenge you'll see Kim Ji Suk says that he's recently playing the main lead in a Wednesday/Thursday drama. So don't quote me but I think he's our main lead. Which I think he totally deserves. @@ Mar 26 2015 2:24 pm I'm only watching Ma Ri's parts. I might have missed important parts. But Don't tell me Lee Doo-Jin and Lee Roo-O are siblings!! They haven't shown Roo-O's mom. There is some possibility. I hope not! Odd Mar 26 2015 7:18 am I wish she ends with Lee Roo-o and not the boring what's his name. Sara Mar 23 2015 6:42 pm Please tell me she's going to end up with Lee Roo-o.!!!!!!!!!! Non_Conformist Mar 22 2015 10:40 pm After watching the first episode, I thought it is going to be a drama with serious story. But later, I changed my mind. lina Mar 20 2015 12:36 pm Any idea which one is going to end up with mari? roo-o seems like a better choice for now. 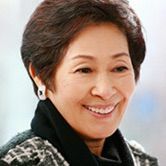 kurage Mar 19 2015 11:54 pm @miss moon, @kdrama, to answer both of you, obviously because both dramas air in different time slot, hence different competition. I can't understand the need to even compare them lol. Anyway, this drama should change its name to Immature Ladies instead of Unkind Ladies since no matter how old they are, they are still childish lol. But that makes this drama unique and interesting. It's kinda funny to see the bickering between the wife and the mistress (not physically but in elegant way, sarcasm). Deb Mar 19 2015 5:02 pm You guys are delusional comparing a show like Blood to this and wondering why it's doing better. Koreans thankfully have good taste in this instance. miss moon Mar 18 2015 11:31 pm The drama seems goood , but howcome its rating become higher than bloood? Kdrama Mar 15 2015 2:03 pm It's a good drama but I can't believe it's rating is higher than Blood in South Korea. BabesC Mar 14 2015 10:04 pm Getting to love this drama... The acting of each actors and actresses is great! I love the role of Lee Ha Na.. She is funny and charming but is also good in serious roles.. She has a good voice, too. Keep it up, Hope this drama will continue to rise in rating! MrsZack Mar 12 2015 9:29 pm With Lee Soon Jae in it... of course its a hit! He knows how to pick a script! Great show..this one will be award winning for certain! ishika Mar 06 2015 8:53 am did i mistakenly saw hyuna?? ratihNNNN Mar 04 2015 12:00 am Am I the one who see Lee Ha Na looks like Hongbin from VIXX? rye yan Feb 28 2015 5:16 am this is Romance,Comedy Genre that character of Lee Hana wow is awesome still awesome when she doing that on King of high school conduct.entairtaining! 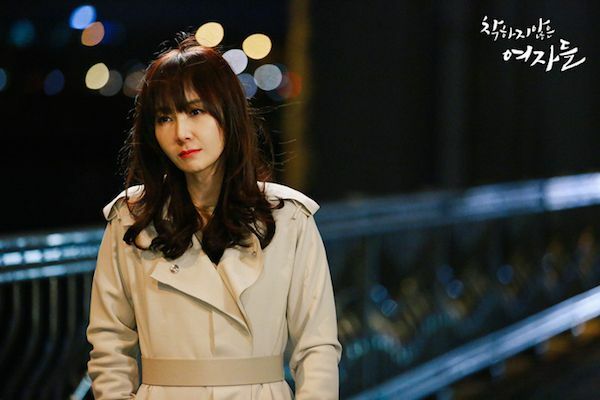 Boni Feb 20 2015 5:54 am Le Ha Na looks like Jang Na Ra in Babyfaced Beauty. Randima Feb 19 2015 5:54 am Hi, I am a fan of Song Jae Rim from Sri Lanka, Hope this drama will success after-all long time back for a drama Jae Rim, be healthy and cheers up, all of your fans are waiting for this dramas, your cute at we got married, hope you keep in success always.Thanks. jeonalya Feb 13 2015 2:41 am Will this be a good drama ?? Humm, I hope it will. I'll watch it coz song jae rim act in this drama. Hope as the lead actor. mayin Feb 07 2015 7:08 am Oh dear, just noticed the writer. OK, am going to give her another chance coz I likeJae Rim. Bonnie Lynn Katzell Muench Jan 20 2015 10:32 am I am so looking forward to seeing Song Jae Rim as the lead in this drama..I loved him in Inspiring Generations and watching him on We got Married has me wanting to see him in everything he has done tho I have seen him in everything he has done drama wise... His acting skills are phenomenal..
hajoonl Jan 11 2015 1:03 pm imma really curious abt the genre, song jae rim? my dream coms true that he'll be a lead actor in this drama. really looking forward for this drama !! KdramaAddict Jan 01 2015 4:54 am I wonder what the genre is for this drama.... romantic comedy perhaps? JIHO Dec 19 2014 10:44 pm Hope Lee Hana take on the role!! Definitely sounds like her kind of character!